In being named a finalist for an American Association of State Highway and Transportation Officials (AASHTO) America’s Transportation Award, a Garver-led project nominated for its use of innovation is being considered for the top transportation project over the last year. The Broadway Bridge over the Arkansas River, designed by Garver for the Arkansas Department of Transportation, is one of 12 finalists for the 2017 competition. It is eligible for the Grand Prize and the People’s Choice Award, which will be decided by an online vote. Votes can be cast once per day through Sept. 21. Along with AASHTO, the award is sponsored by AAA and the U.S. Chamber of Commerce. 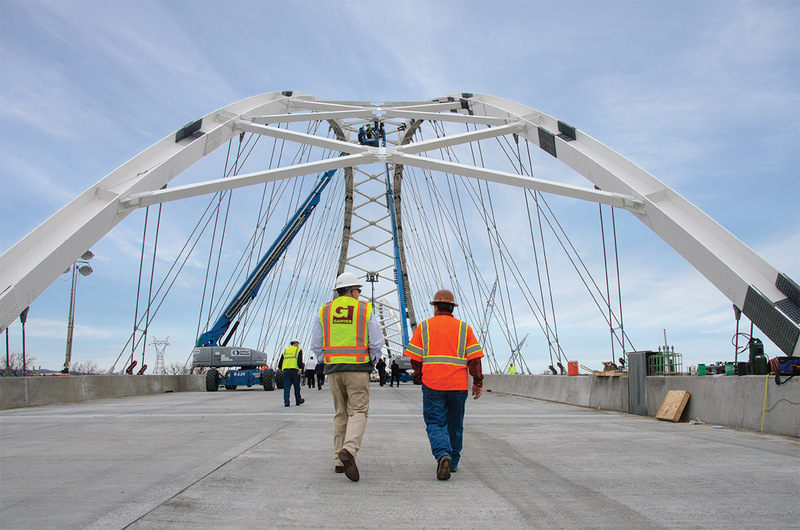 Opened to traffic in March 2017, the new Broadway Bridge connecting Little Rock and North Little Rock, Arkansas, replaces one that had been in use since 1923, providing an improved route for up to 24,000 vehicles per day through the state’s most populated area. Garver provided design services for the replacement bridge, which was designed for cost effectiveness and minimal closure time. Twin 448-foot basket-handle network tied arches are its most visible feature, and it includes four traffic lanes, and pedestrian and bike lanes. Garver also provided design services for the roadway approaches and provided traffic analysis. 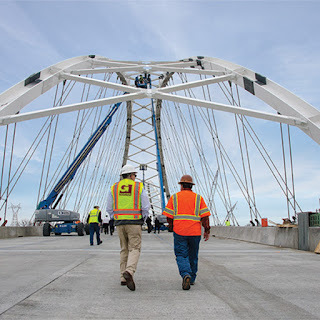 The American Transportation Awards are in its 10th year, and recognizes bridges for Quality of Life/Community Development, Best Use of Technology and Innovation, and Operations Excellence. The winner of the Grand Prize and the People’s Choice awards receive $10,000 for a charity or transportation-related scholarship of its choosing. Visit GarverUSA.com to find out what Garver's Bridge Team can do for you.